Created for the mobile worker, the WORKABOUT PRO 2 is ideal for employees across a range of industries, including mobile field services, logistics, warehousing, transportation, manufacturing and more. Its impressive flexibility enables you to supply one device to meet many requirements; the WORKABOUT PRO 3 is built to be a key member of your IT infrastructure. The hardware expansion slots of the WORKABOUT PRO 3 make adding new modules fast and easy – saving significant time and money. And there’s a whole range available – everything from fingerprint scanners and passport readers to RFID readers. 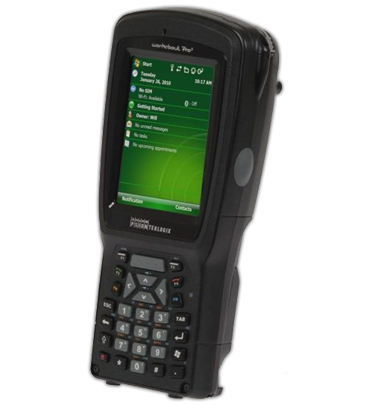 WiFi or GPRS; scanners, imagers and RFID options – the WORKABOUT PRO 2 delivers next-generation modularity that enables customers to easily configure their device to suit a variety of applications and tasks.